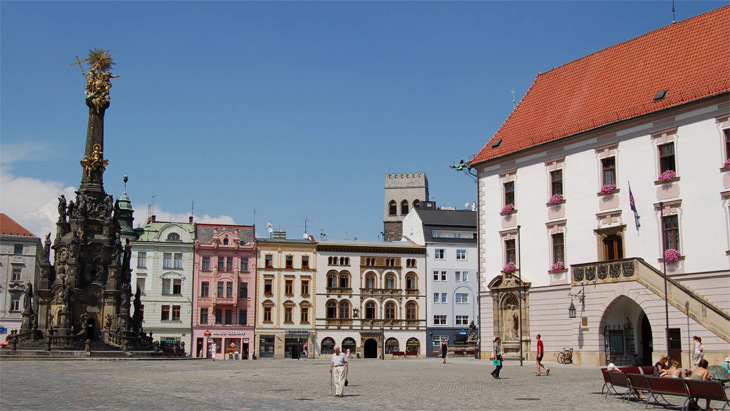 The Holy Trinity Column in Olomouc Upper Square is the most significant element in the Olomouc region. 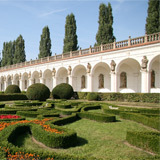 Built in the early years of the 18th century in Baroque style it is one of the most outstanding examples of the unique material demonstration of faith in the central Europe, whose original beauty you can admire to this every day. The stimulus for its construction was partially the plague which struck Moravia at the beginning of the 18th century. Once it was finished the column became the symbol of Catholic Church, faith and patriotism of the people of Olomouc since both the artists working on the monument and the depicted saints were connected to Olomouc in one way or another. This memorial column is the largest Baroque sculptural group in Central Europe and it is the most unique example of the regional style known as Olomouc Baroque.The column rises to a height of 35 m with the lower part being a chapel. The column is decorated with many stone larger-than-life sculptures of saints and in 2000 this outstanding sculptural group has been listed on the UNESCO list of world cultural heritage.